Currently, all U.S. states have some type of “safe haven” law. These laws allow parents or guardians to leave their children in the care of the state by dropping them at a local hospital or police station without fear of criminal prosecution (so long as there has been no abuse). Nebraska is the only state to adopt a safe haven law without specifying an age limit, and over the three months since the law took effect, 18 young children and teens have been deposited at these facilities. Safe haven laws were originally enacted to prevent infanticide and to protect very young children, and Nebraska’s law is clearly having unintended effects. So far, most criticism of the law has focused on how it supposedly allows parents to shirk their responsibilities and how older children will be irreparably damaged by abandonment. While older children and teens will certainly suffer from being abandoned, and the law should definitely not be used by parents as a “scare tactic,” to control unruly teens, I wonder if society’s outrage is misplaced . . . In response to public outcry over the law, Governor Dave Heineman and Speaker of the Legislature Mike Flood have announced plans to amend the law, and will probably set the age limit at three days old. Yet, until all of Nebraska’s parents provide safe, loving homes, or the government provides adequate social services for children and teens at risk, children who might be abandoned under the safe haven law may be worse off after it’s amended. I think that the vast majority of parents would only abandon their children if they saw no other way to properly care for them. According to Voices for Children, 15% of children in Nebraska were living in poverty and 36% lived in homes considered “low income.” Parents who simply lack the money or other resources to care for their children should not be condemned for giving up custody for the state. And parents who recognize that they are abusive toward their children – whatever age they may be – should have an easy way to get their kids to safety. 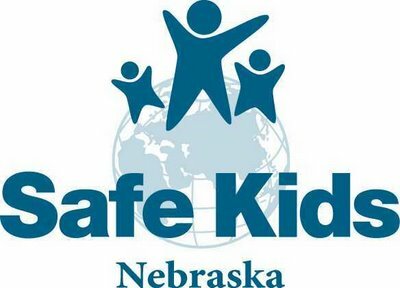 In 2006, authorities substantiated 3,065 cases of abuse and neglect involving 4,501 Nebraska children, and 17 Nebraska children died as a result of child abuse or homicide. Hopefully, the Nebraska Department of Health and Human Services and other social service agencies will be able to fill some of the gaps that caused parents to abandon their children in the first place. If you or a family you know in needs help, please contact the Boys Town National Hotline at 1-800-448-3000, Childhelp USA at 1-800-4-A-CHILD, or visit the Human Services of Nebraska or The Department of Health & Human Services’ Administration for Children and Families.